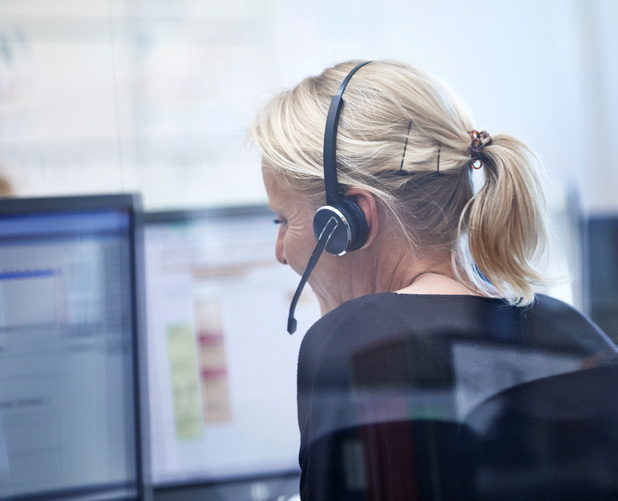 Job satisfaction and professional pride are incredibly high at DFI-Geisler. It reflects, inter alia, in that we have a lot of experienced employees. And a lot of anniversaries. We only know one quality. The best! 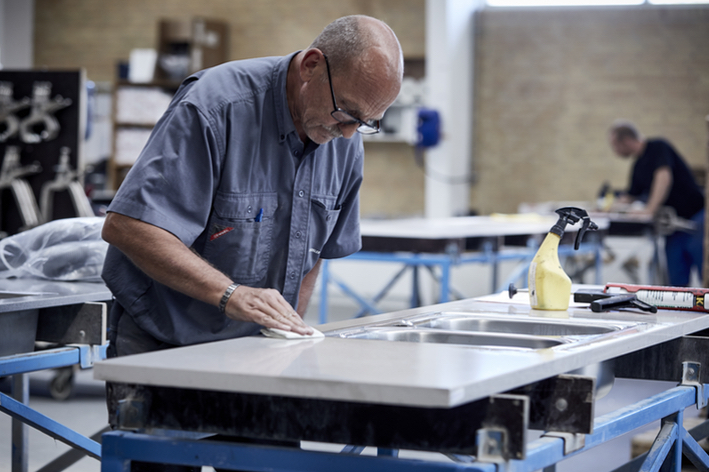 From start to finish in the production of your worktop we focus on the quality. This applies when we measure and make work drawings. This applies when we cut each cut. This applies when we mount your sink. This applies when we pack the worktop well and prepare to send. And this applies when we make sure that your worktop is fully fitted to the requirements – and perfect. There must be many different skills to deliver personal table tops. In addition to manufacturing and after-treatment, we also have some of the industry’s most talented employees when it comes to measuring, drawing, dimensioning and assembly. With our Security Package we offer to take care of the whole process. From measuring your kitchen for delivery and assembly of your new worktops. We do this daily throughout Scandinavia. 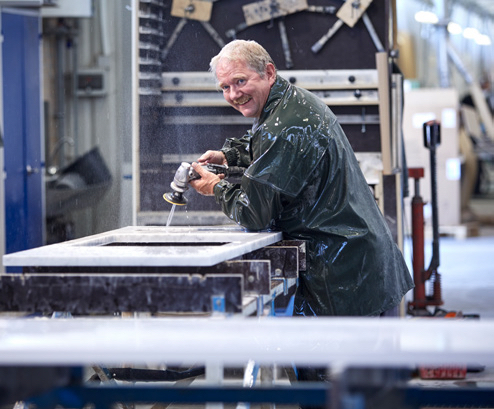 “Develop, sell, produce and deliver a wide range of table tops for kitchen and bath as efficiently as possible”.